In the original Dungeoneer each completed Quest gained your hero a level. Each level was a significant increase in power. 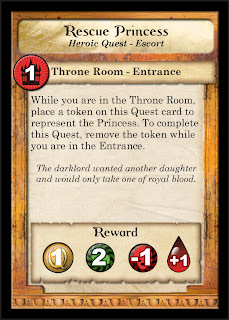 In World of Dungeoneer Quests give you Quest Points. These Quest points required are the level you gain for your completed Quests. For example level 2 only requires 2 Quest points, while to go from 2 to 3 requires 3 Quest points. This greatly evens the game out between level 1 and level 2 characters. Also harder Quests can give more Quest points, while easy Quests only give 1 point. 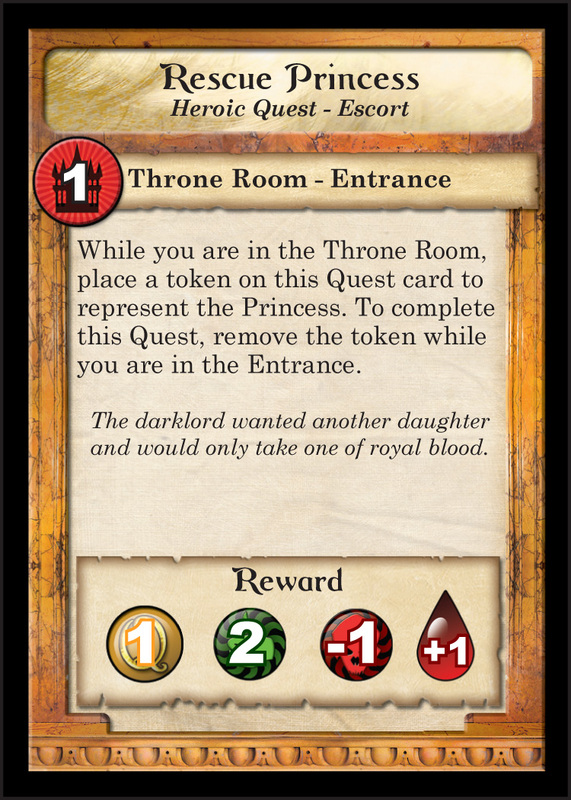 Also, you see the card frame for Quest cards has changed a lot.